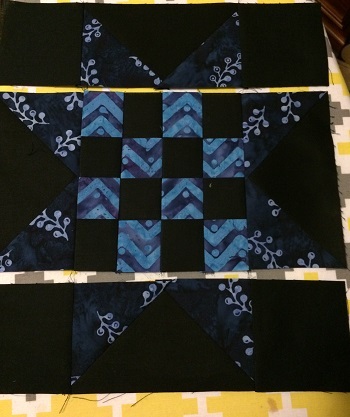 Below are the instrcutions for both Decembers block and the quilt construction. this months block is a called "Sawtooth 16 Patch"
Arrange your blocks in their rows. 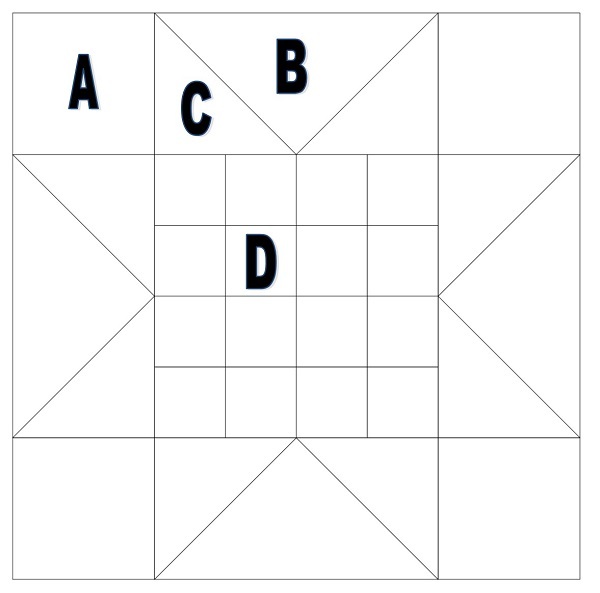 You don't have to follow the original layout for the sampler blocks. You may find that dependant on your colour choices you need to move blocks around. Sometimes this is just not obvious to the eye, but the camera lens never lies. 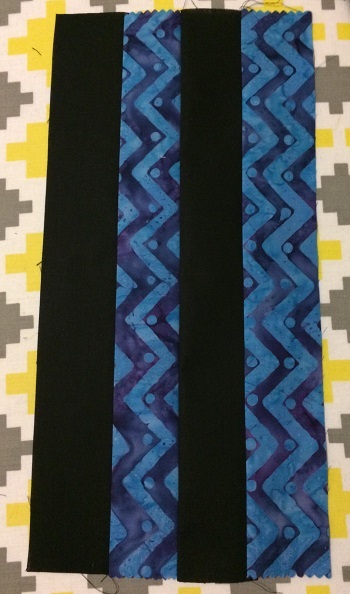 Once you are happy with your rows, sew them together using a 1/4" inch seam allowance. You can number them with little pieces of paper and pins if that helps - but again you could always refer to your phone. Once your rows are made you are ready to join row to row. Dont forget to press your seams between rows, pressing to one side. 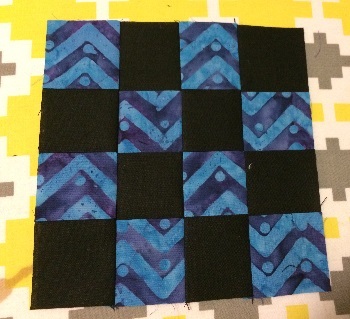 ​DO NOT JUST SEW YOUR BORDERS ON AND TRIM OFF THE EXCESS - this is by far the worst habit I see in patchwork. I could rant on for ages about this one, but suffice to say that you havent just made precise blocks that you lovingly cut and pieced so that you could slap on borders that you havent measured at all. Just humour me on this one please. Measure the two side edges of your quilt with a quilters tape measure. Most likely there will be a small discrepancy. It is usually less than 1 inch. Take an average of the two measurements and cut your first border to this size. eg My two side edge measurements are 61 " and 61.5 ". If I add these together and then divide them by two, I get 61.25". Therefore I will cut my first two border pieces 61.25". 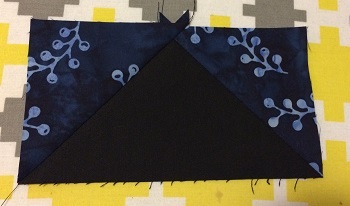 Attach the borders with a 1/4 inch seam. Press. Now repeat that step with the top and bottom borders, measuring, taking an average, cutting to that size and attaching. See! Not that hard... You have a beautiful flat border with no extra fabric in it, AND your quilt is now squared up. Peeper border is cut at 1 1/2"
Follow the instructions for the first border - you shouldn't have any discrepanicies now . If you do you need to address your seam allowances - are you sewing nice and straight with both edges aligned? Continue to follow the instructions for the first border, remembering to press in between. Cut 9 strips of fabric WOF x 2 1/2" wide. Join on a 45 degree angle end to end. Press in half widthways, attach the raw edges of the binding to the front of you quilt, mitring the corners as you go. 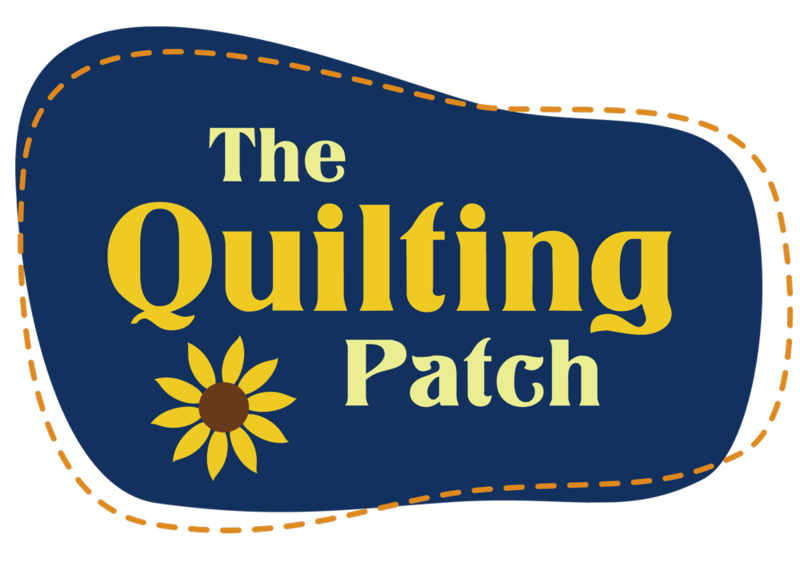 Bring the folded edge to the back of your quilt and slipstitch in place. I hope you have enjoyed making this quilt in 2017. I'm still pondering on one for 2018, but I can't make any promises. Our year looks to be a busy one with many quilt shows booked in already.